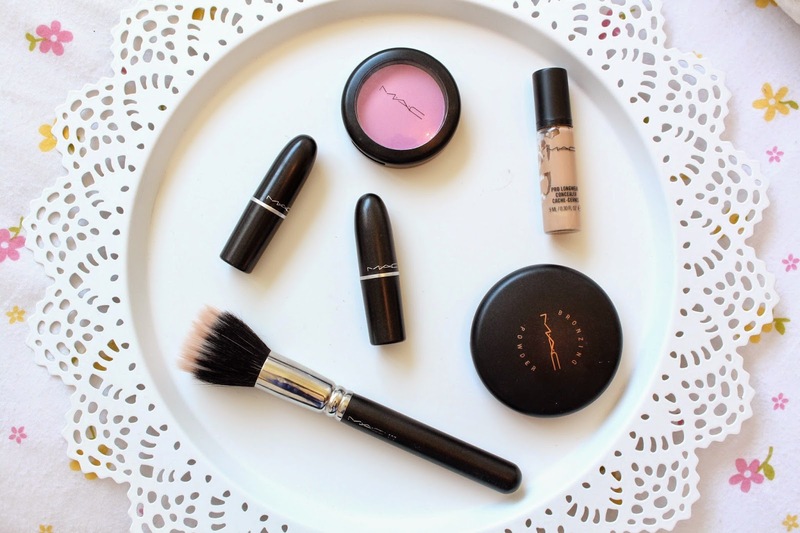 I’m a MAC girl, I’m not even going to try and deny it. I just love their products, I’ve never tried something from them and genuinely hated it. So today I thought I’d narrow down my top favourite products from them.. please bear in mind this was extremely difficult for me! I have a few extra bits I have to mention as well haha! Firstly, I have to mention lipstick. Especially the Lustre formula, its one of my favourites as they’re so easy to wear as well as being nice and moisturising too! The Creamsheen formula comes close but sometimes I find it can be a little drying but they are really easy to apply on the go. All in all their lipsticks are just great, I think thats why I have an ever growing collection from MAC! My favourite shades are Plumful and Peach Blossom. Close to first place are their brushes, I particularly enjoy the 187, a large duo-fibre brush thats great for applying bronzer to the face for a nice all over glow. I just find the quality of their brushes to be really on point, and they last a really long time too. My 217 which is my favourite eye brush has been with me for about 2 years now and you really wouldn’t be able to tell, the 224 also has a place in my daily makeup routine! In third place, has to be blushes. Well Dressed and Peony Petal are literally on my face non stop, they’re really long lasting and there is a wide variety of shades to suit everyone. I’ve also taken a liking to the bronzing powder in Refined Golden, I’m not usually one for shimmery bronzers but this one just gives the face a really lovely glow that I love in the summer! And lastly, Pro Longwear concealer. Its just brilliant, full coverage, and no creasing under the eyes. It doesn’t feel heavy and it lasts all day, admittedly I wish it came in a slightly paler shade but its nothing a bit of blending can’t sort out! I also have to mention Fix+ spray, I can’t go a day without dousing my face in this stuff, it just sets my makeup so well and takes away any cakiness that may have occurred from over powdering, I love it. And what MAC favourites post doesn’t mention their eyeshadows? Need I say more, I think not. Let me know what your favourite MAC Products are! Previous Post Makeup Revolution ‘Hot Spice’ Blush Palette! Next Post Sleek Ultra Matte ‘Brights’ Palette!